Krugly-god LLC – Agro-industrial holding "ECO-culture"
Greenhouse complex Krugly-god Ltd. uses advanced intensive technologies for year-round cultivation of vegetable products in protected ground. Similar technologies have been successfully tested in Finland and other Nordic countries over the past 5 years. The greenhouse uses the so-called low-volume cultivation technology that deploys high-power artificial assimilation lighting. 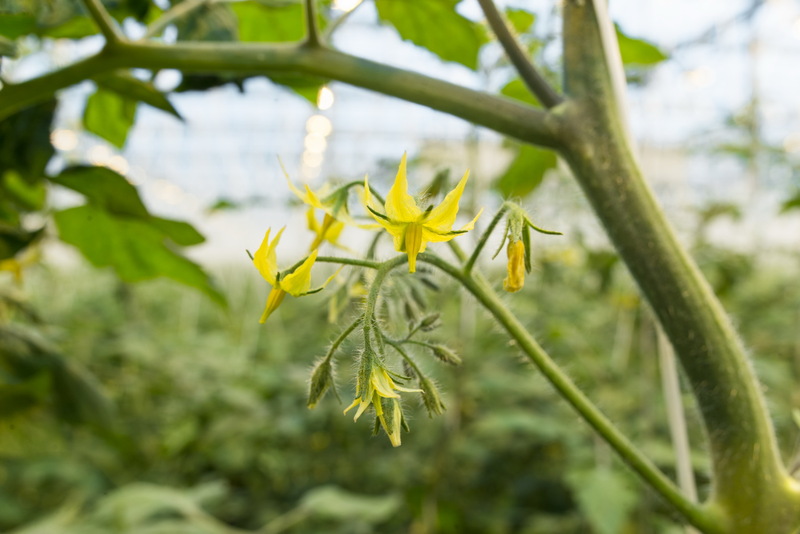 The main crops grown at the enterprise are cucumbers, tomatoes and lettuce. Electro-supplemental lighting. 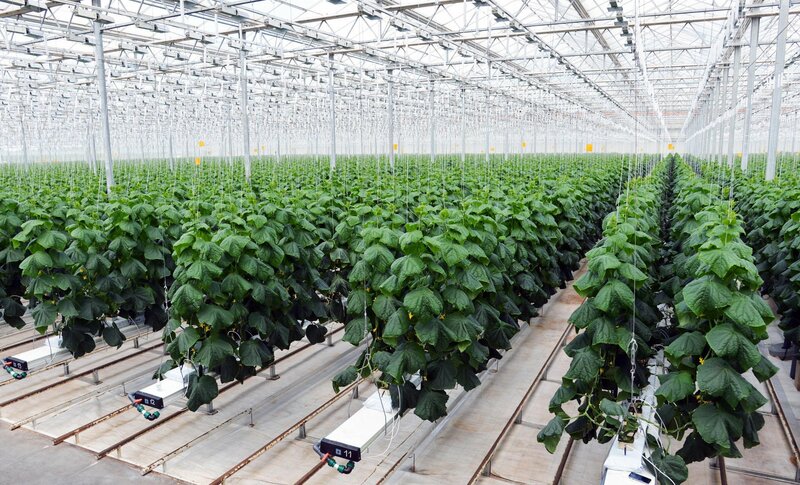 Two cucumber greenhouses with an area of ​​1 ha each are equipped with 280 W/m2 electro-supplemental lighting (120 W/m2 supplemental lighting in the biocoenosis and 160 W/m2 upper supplemental lighting). This has facilitated the use of continuous cultivation technology if necessary. 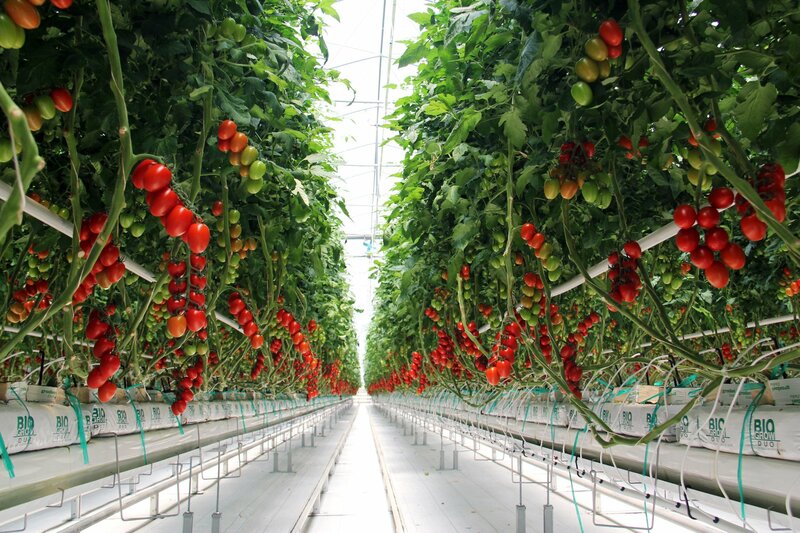 The tomato greenhouse with an area of ​​0.9 ha is fitted with a mobile low-power electro-supplemental lighting (120 W/m“). High crop yield is achieved by changing lamp position and movement. The lettuce greenhouse is equipped with a modern lettuce line that has been successfully tested in Finland and Estonia. Its output is 1.6 times higher than the output of common lettuce lines due to the denser planting. With this lettuce line, we are able to change our varieties of grown lettuces and adapt to market demands through production of new products. Two 1 ha seedling sections are equipped with a modern system for growing seedlings on mobile tables using an inflow-outflow irrigation system. The nutrient solution is poured into the soil with slight delay. During periods when the seedling section is not used for growing seedlings, the ground can be used to grow lettuces and green crops. For the purpose of saving costs, all greenhouses are equipped with circulating irrigation systems with disinfected drainage solutions. 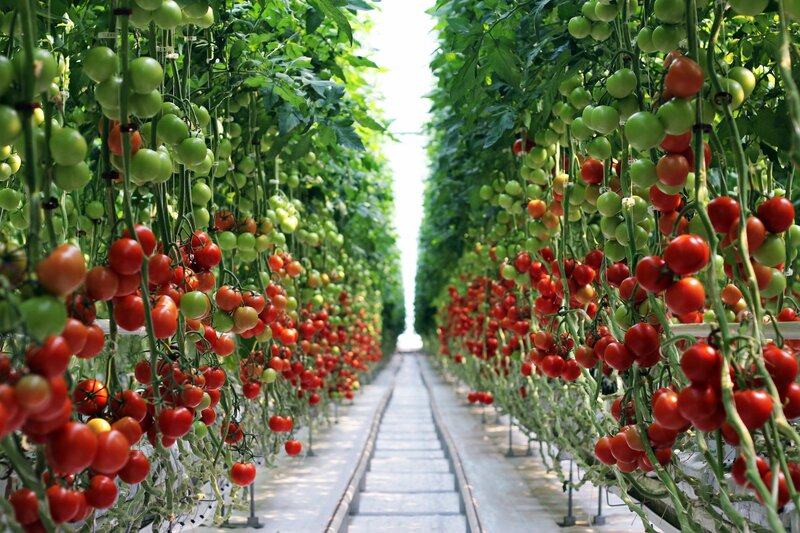 For the purpose of protecting against the spread of plant diseases, there are separate irrigation systems for greenhouse compartments, which are equipped with individual disinfectors and drainage solution accumulation tanks. For energy-saving purposes, all greenhouse compartments are fitted with horizontal and vertical energy-saving screen systems. All greenhouse compartments are equipped with humidification and forced-air circulation systems to maintain optimum microclimate parameters. 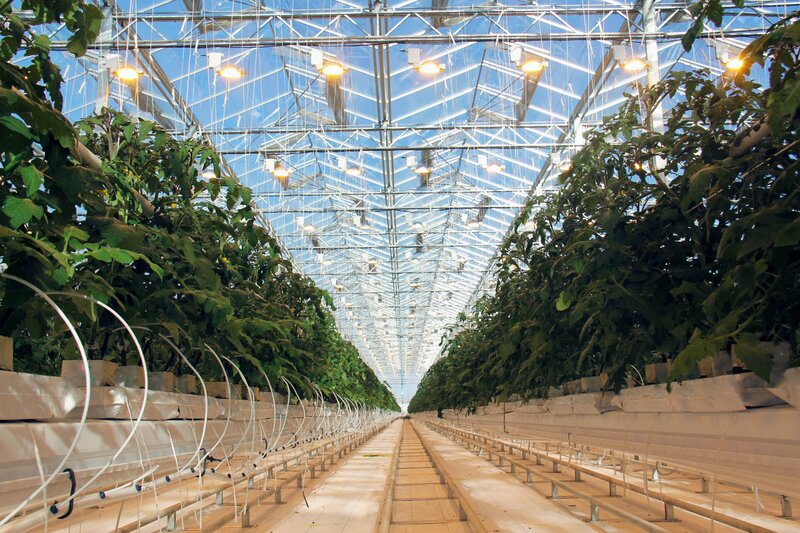 Through its own power generation, the power center provides assimilation electro-supplemental lighting to the greenhouse complex. Electric power from the network is used only for running the production machinery. In addition to using heat from cogeneration installations, two water-heating boilers also supply heat to the complex.